West Main Street is a vital urban street, a locally designated historic district, and an important connection between the University of Virginia and Downtown Charlottesville, and to the surrounding neighborhoods. 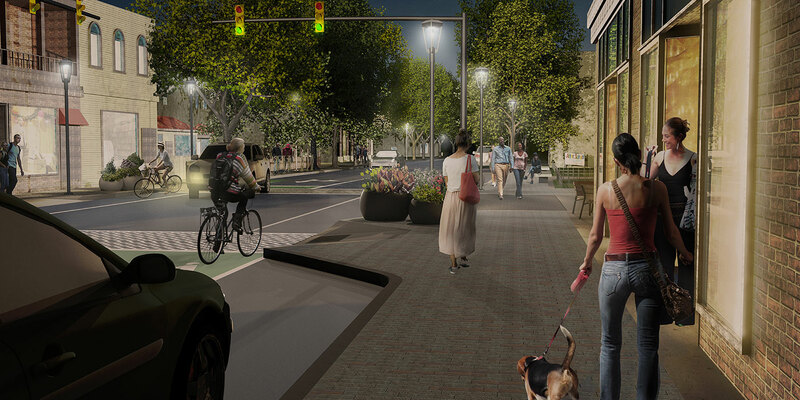 The City of Charlottesville has undertaken a plan to update the street with widened sidewalks, dedicated bicycle lanes, a diversity of trees and landscape plantings, and opportunities for historic interpretation and social gathering. In March 2016, City Council approved both zoning ordinance modifications and a conceptual design plan option for West Main Street (Option 1). 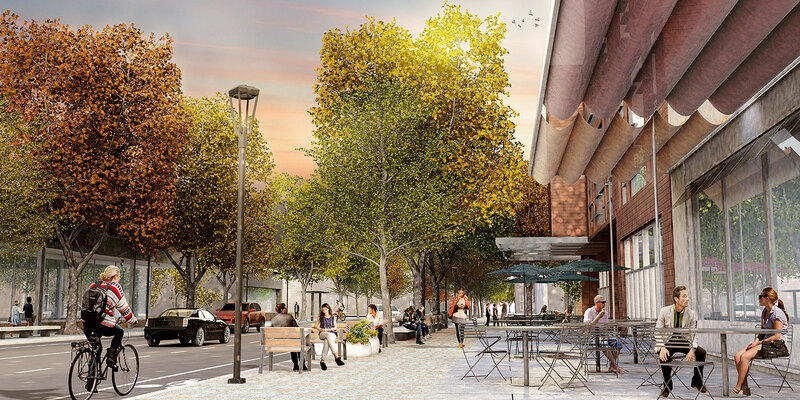 Since that time, the project team has been working with City staff to develop more detailed design plans, meeting with the community and the Board of Architectural Review, and creating a schematic design plan set, which was approved by City Council on May 15, 2017. 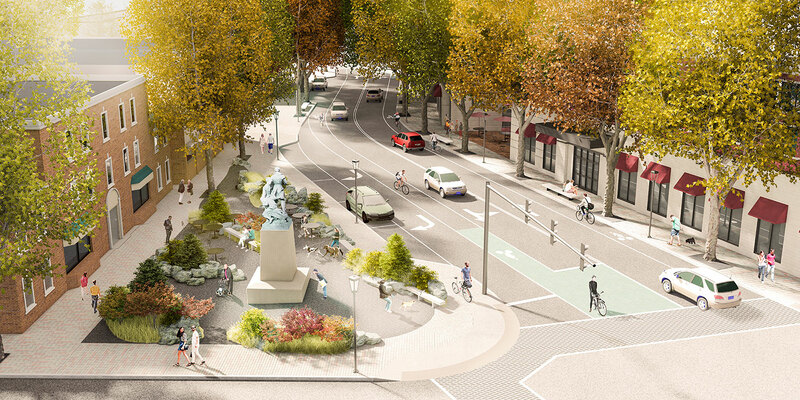 The project team is currently developing the next phase of design plans in consultation with City staff. 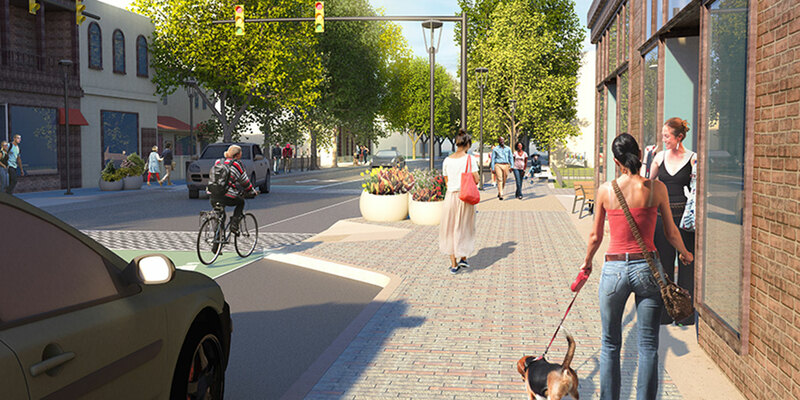 These plans will advance the streetscape design for the overall project area (from Ridge Street to Jefferson Park Avenue) as well as provide construction-ready plans for Phase I improvements (from Ridge Street to 6th Street). Stay tuned to this website to learn about upcoming meetings and design updates!